Mr. Garret R. Lazenby has expertise in the transportation, logistics, and supply chain industries. His experience began by working for actual transportation, logistics, and supply chain companies to advising companies in these industries on their insurance, risk management, and surety. He has clients throughout the United States and provides them with his utmost attention. Garret oversees the Transportation, Logistics, and Supply Chain Practice for Sterling Seacrest Partners. His passion goes beyond the transportation, logistics, and supply chain industries to include a broad range of insurance solutions for private equity, investment banks, professionals, general commercial business, community associations, and individuals. 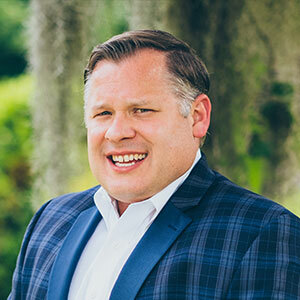 Prior to Sterling Risk Advisors and Seacrest Partners merging, Garret was a partner with Sterling Risk Advisors overseeing its Transportation, Logistics, & Supply Chain Practice. He has additional experience in business development, operations, and risk management from companies such as UPS Capital Insurance Agency, UPS Freight Forwarding, Cosa Freight, and Norfolk Southern Corporation. Garret received a Bachelor of Arts Degree in Business Administration with a specialization in Logistics & Intermodal Transportation from Georgia Southern University and was a member of its Varsity Men’s Soccer Team. Garret is active in various associations and industry groups such as the Transportation Club of Atlanta (Board Member), Georgia Motor Trucking Association, and South Carolina Trucking Association. He lives in Atlanta, Georgia with his wife and 2 sons.